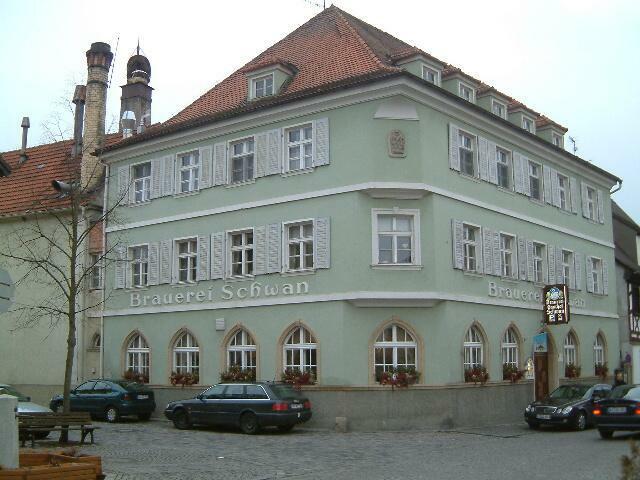 Brauerei Schwann is roughly 300 meters from the bus stop. The helles has a taste so light, it was almost too watery. The "Bock" was slightly smoked,full flavor.The atmosphere was extremely "old world" tradtional.A beautiful place inside with large,arched windows,heavy wooden beams & tables, with dark panelling on half of walls...nicely decorated with good service. Great service, well prepared food, and a bier that will leave wanting more. Fresh, yeasty and soft Kellerbier with plenty of hops in the aftertaste. The Keller is a classic. Which number is highest 3 or 38?